So, what is CBD? Cannabidiol, known as CBD, is one of many cannabidiol constituents known for helping with pain relief by acting upon certain neurotransmitter receptors. Harvested from cannabis sativa or cannabis indica, these plants produce high-CBD, low-THC flower that offer numerous pain relief benefits without experiencing psychoactive effects typically associated with marijuana. CBD oil is extracted from the leaves, stalks, and flower buds of industrial hemp plants and can be consumed in a variety of ways: smoke, vapor, pills, chewables, capsules, or as prescription liquid solutions. CBD (cannabidiol) has been misunderstood, and wrongly attacked, for much of its life. Recently, the substance has received substantial praise for its newly-discovered ability in supporting relief for a wide variety of ailments. However, the weight of its misconceptions regarding what it is, what it does, and how it works, has unfortunately produced a lot of friction for people trying to study, and experience, its effects. To understand what CBD is and why it’s so beneficial, it’s important to first understand where it comes from. The industrial hemp plant is a distantly related variety of cannabis sativa, but very genetically different from the marijuana plant. It produces compounds that have extremely low levels of THC, the psychoactive ingredient typically found within marijuana, and thus does not give users any “high”. The oil derived from industrial hemp is, instead, loaded with high-levels of CBD. An all-natural plant, hemp grows extremely quickly, and since it does not require pesticide treatment, its nature is environmentally beneficial. Hemp oil isn’t the only valuable aspect this plant provides either; its stalks, seeds, and flowers are increasingly popular materials in a number of industries, including health, food, textiles, construction, and organic beauty products. In 2014, the U.S. Farm Bill formally – and legally – distinguished industrial hemp from marijuana. As a result, CBD products sourced from industrial hemp are legal, and can be shipped to all fifty states. What Are Hemp-derived Oils and How Do They Help? There two important, distinguishable oils produced by industrial hemp plants: CBD oil and Hemp oil. The former is sourced from the plant’s stalks, leaves, and flowers, while the latter is harvested from the plant’s seeds. And, because of their hemp nature, neither substance produces any “high”, nor will appear on any drug tests. Both oils drastically differ in their intended uses. CBD oil is typically used for health benefits in combating chronic, general body pains that can include inflammation, joint aches, and muscle stress. Because of the natural source, CBD oil is often preferred as an alternative to pharmaceutical drugs that have numerous side effects. The benefits of hemp oil are applied in more mainstream industries, since hemp seeds are rich in proteins, omega-3 and omega-6 fatty acids, fiber, and vitamin E. A majority of hemp seed oil is found in either dietary supplements or within moisturizers found throughout lotions, soaps, and other beauty products. How Does CBD Oil Reduce Pain? The effects result from the oil’s molecules interacting with the body’s endocannabinoid system. Many large, complex networks, like the immune system and central nervous system, are filled with cannabinoid receptors that are responsible for regulating pain triggers, moods, and other sensations. Because these receptors control many important functions, when they become unbalanced, people experience sharp mood swings or pain. CBD oil re-establishes an equilibrium between the receptors that will ultimately reduce malady related pain. CBD oil has become an increasingly popular natural option for the treatment of many common ailments people normally experience during the aging process. Its therapeutic potential continues to be explored with exciting new possibilities constantly being discovered, and researchers steadily producing clinical studies that prove CBD is an incredibly useful tool for overall health and wellness. What Is the Difference Between CBD vs. THC? 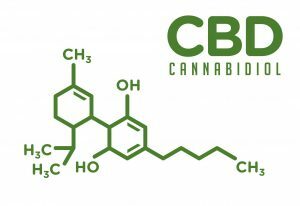 At the simplest level, the most important distinction between these two substances, is that CBD oils are not psychoactive since hemp plants contain extremely low THC-levels. More scientifically, the two derivatives act upon different cannabinoid receptors when introduced into the human body. THC targets one specific receptor, CB1, that’s located inside the brain, hence the feelings of psychoactivity produced by marijuana. Conversely, CBD has zero interaction with any brain receptors, instead primarily acting upon cells found throughout the immune system or the central nervous system. These are two very different chemical compounds, and while THC may provide certain health benefits in states where it is a medically-controlled compound, the absence of psychoactivity with CBD use, becomes an extremely vital difference. It is this key distinction that has led to CBD being legalized through state pilot programs under the 2014 U.S. Farm Bill. We sell two very unique products that make it easy to get all of the benefits of CBD quickly, safely, and effectively. Check out our product page to view more information about our CBD gum and CBD lozenges, both of which offer innovative solutions for those who want the benefits of CBD without the discomfort of pills, capsules, or liquids. Have a question about our products? Visit our contact page, send us an email at info@peros-bio.com, or call us at (410) 316-1080 x 100. FOOD AND DRUG ADMINISTRATION (FDA) DISCLOSURE: The statements on this website have not been evaluated by the FDA and are not intended to diagnose, treat, cure or prevent any disease. LEGAL DISCLOSURE: Per Os Biosciences does not develop, manufacture, sell or distribute any products that are in violation of the United States Controlled Substances Act (US.CSA).